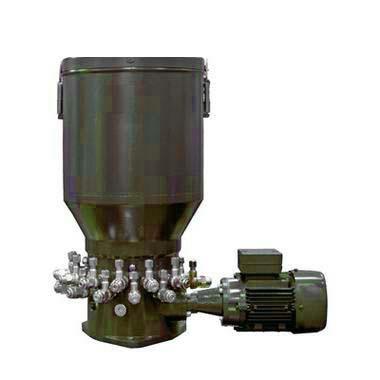 Multi-line Lubrication System that we offer consists of multi-outlet pump in which each outlet connected to individual bearing. When multi-outlet pump with progressive distributor, it offers system extension/flexibility to a great extent. Pump outlets are adjustable. A check valve is fitted inside each outlet that ensures positive dispensing. We are counted among the top Manufacturers and Suppliers of Multi-line Lubrication System. It can be obtained from us at the best market price. Application : Medium and large size Presses, Earthmoving Equipments, Screw Conveyers, Punching Presses, Mixing Mills, Crushers, and Turbines etc.